You can buy Chick-fil-A gift cards at Chick-fil-A restaurants, Kroger grocery stores, and some Walgreens pharmacies. For more information on where to buy Chick-fil-A gift cards, see below. 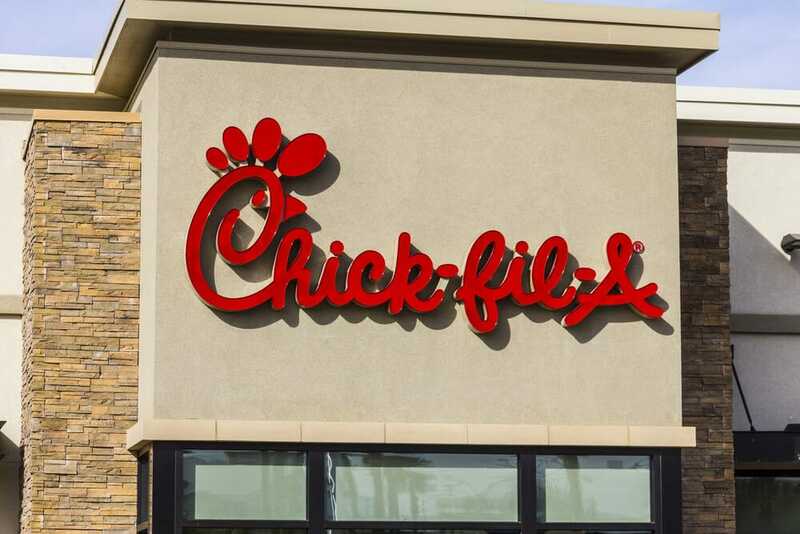 Chick-fil-A gift cards can be purchased in any denomination between $5 and $100 at most of its restaurant locations, a Chick-fil-A corporate customer service representative said. But, Chick-fil-A Express and licensed Chick-fil-A locations located in airports, stadiums, and on university campuses often do not sell or redeem Chick-fil-A gift cards, according to the company’s website. Kroger grocery stores sell $10 Chick-fil-A gift cards in-store and online. All of the Kroger stores we contacted had Chick-fil-A gift cards in stock; contact your nearest Kroger for in-store availability. Target stores often have $10 or $15 Chick-fil-A gift cards available in-store and online. Half of the Target stores we contacted had Chick-fil-A gift cards in stock; contact your nearest Target for in-store availability. Walgreens pharmacies sell $10 Chick-fil-A gift cards in-store only. All but one of the Walgreens stores we contacted had Chick-fil-A gift cards in stock; contact your nearest Walgreens for in-store availability. Chick-fil-A gift cards are available at most Chick-fil-A restaurant locations and at large, national retailers like Kroger, Target, and Walgreens. For more on payment types accepted at Chick-fil-A, see our article.